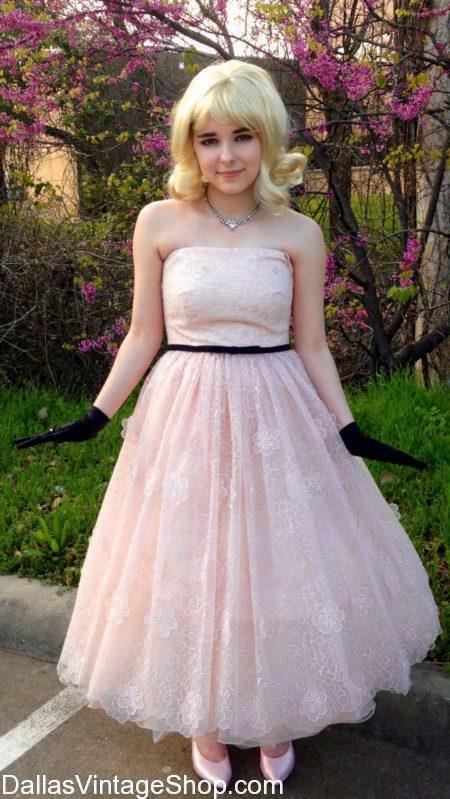 Look at this Divine 50’s Prom Dress. We have an amazing 1950’s Prom Dress Collection and Diverse Selection of 50’s Fashion Dresses and Vintage 50’s Attire that is perfect for 50’s Theatrical Costumes, Special Occasion Dresses, 50’s Historical Attire, 50’s Sock Hops, 50’s Themed Charity Events and Theme Party Costumes. We have all the Perfect 1950’s Fashion Accessories for any 50’s Genre Outfit you can think of. Get Supreme Quality 50’s Attire or Median & Economy Priced Costumes and Costume Accessories too. The sky is the limit when it comes to creating your 1950’s Outfits because we have the largest and most diverse selection of 50’s Vintage Clothing, Retro 50’s Fashions, Reproduction 50’s Attire, 50’s Costumes and all the 50’s Period Correct Accessories for any Outfit and any Budget. We are open year round to serve you.